ONELAN provides a range of services to assist in the installation and the configuration of ONELAN products. 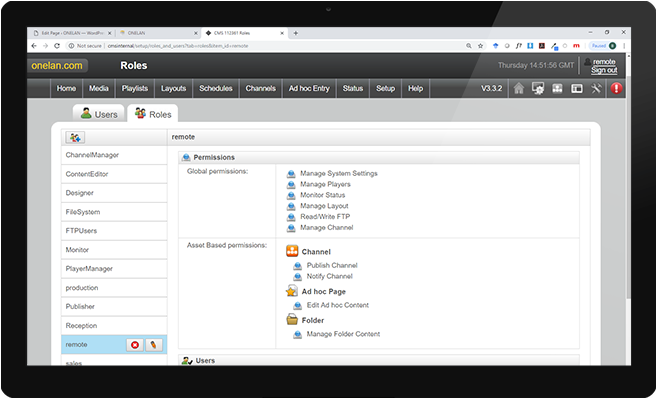 Due to the large number of functions in the ONELAN CMS, ONELAN offers a service to assist in the commissioning of your CMS to ensure you get the most out of the advanced features. This service included setting up user roles, permissions and a range of other custom configuration required. ONELAN can support with pre-configuration before shipment or on-site commissioning services. 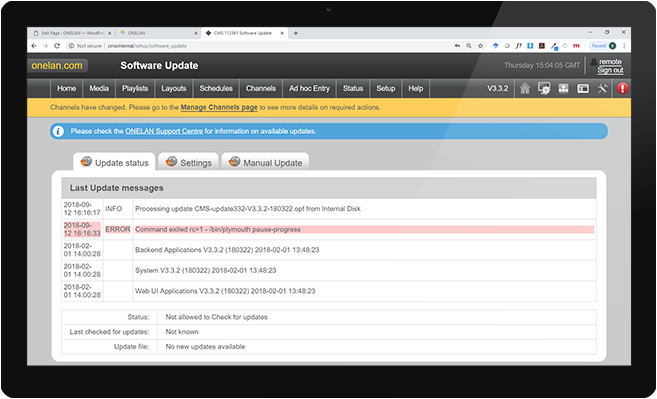 This can include setting of network settings, CMS subscriptions, software update setting and more. 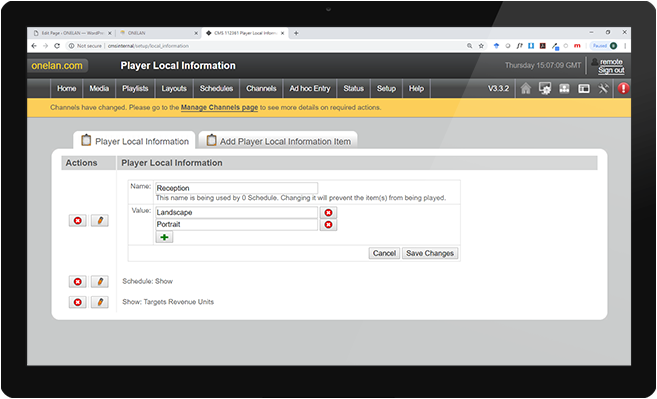 Large, complex and widely distributed networks benefit from using ONELAN’s PLI functionality to enable conditional play of playlist items. This is an effective way to ensure the right content is played in the right place and allows content to be ever more targeted. ONELAN can assist with setting up these PLI values on NTB media players. The ONELAN products offer a range of functions to generate and manage content. ONELAN provides a service in assisting with the set up and design of this content to ensure you are utilizing the full capability of the ONELAN players to manage your content. 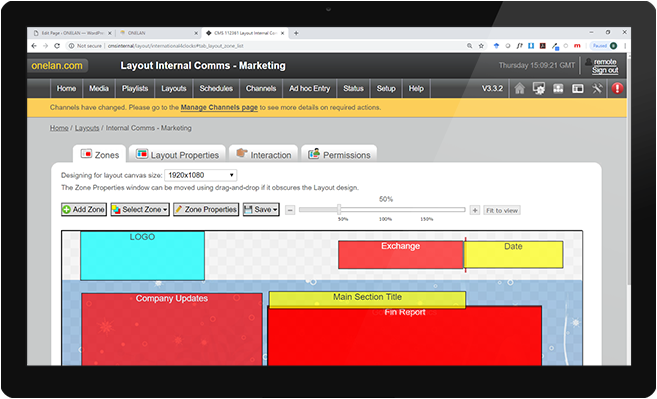 Be it single use content, layouts being used across the organisation, or general content set to localize certain zones in various locations.